Farmers are encouraged to share their views on different production systems. Dairy farmers are being asked to share their views on the move towards year-round housing of cattle. Researchers at the James Hutton Institute (JHI) are seeking to gather information on farmers’ attitudes towards pasture-based and indoor systems. It comes on the back of public concern about the environmental and welfare implications of a move away from grass-based farming systems to ones where the cattle are housed all year round. The project – Cows Eat Grass, Don’t They? – is being carried out by Orla Shortall, a researcher at the JHI’s social, economic and geographical sciences divsion. As part of the study, Ms Shortall is encouraging dairy farmers to complete a survey of their views on the future of the industry. 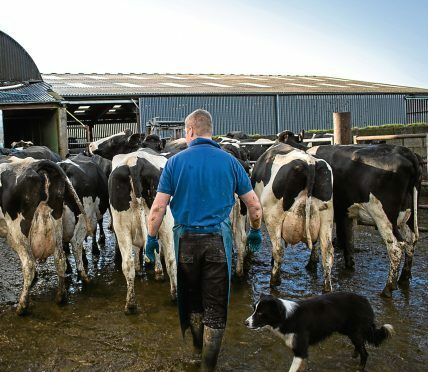 The survey, which is open to any commercial dairy farmers in the UK and Ireland, can be taken here. Ms Shortall said a £2 donation will be made to rural charities, including RSABI in Scotland, for each survey completed.